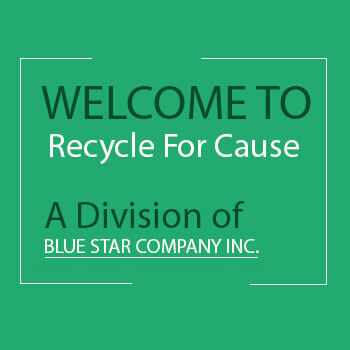 Recycle for Cause is an initiative of Blue Star Company, Inc. This division of Blue Star was established to create an awareness about how we can give back to our society. 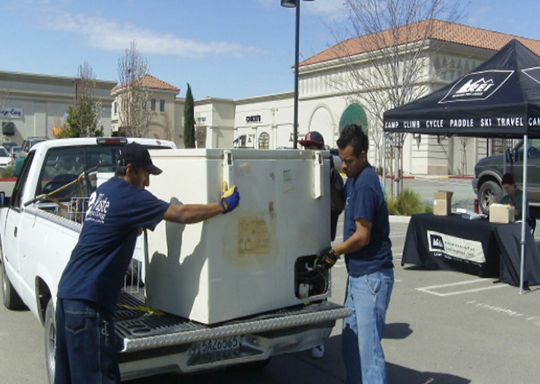 One of the key areas of our operation is to help non-profit organizations host e-waste recycling events. This allows a free e-waste recycling for the electronic asset owners. The proceeds of the recycled hardware are shared with the non-profit organizations. And, the asset owners get to reap the benefits of tax deduction. Additionally, we also match up the donated items from corporate to non-profit organizations. Please refer to our services page to see the list of products we recycle. Our services extend to data security. This is achieved through proper dismantling and destruction of memory devices of the hardware. We sell the recycled devices to corporate employees. At times, we redeploy the devices for reuse. We also remarket the renewed devices and share the proceeds with the device owners. We also lease the recycled and refurbished devices to organizations that do not want to incur significant capital expenditure on the purchase of new devices. We provide free pick-up and delivery of devices. All our recycling processes follow a strict environmentally responsible processes. 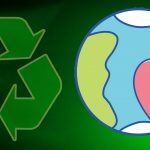 Recycle for Cause, a division of Blue Star Electronic Inc., is one of the world’s leading electronicas set disposition companies. We focus on eliminating the risks surrounding data security. Electronic equipment contains hazardous and non-biodegradable chemicals such as lead, copper, chromium, beryllium, cadmium, barium, nickel, zinc and mercury. We help organizations such as schools, churches and humanitarian groups raise funds by collecting old, expended electronics. These electronic devices and gadgets are then recycled, reused, and refurbished.Upon being refurbished the devices are either remarketed or utilized internally by these organizations. and at the same time reap the benefits of tax deduction. Blue Star’s industry-recognizedcredentials and solution-oriented approach make it aleading reclamation resource you can count on today and down the road. Recycle for Cause provides convenient and safe recycling services to end users and businesses in accordance with EPA’s standard guidelines. Let us turn your old and excess equipment into a tax write-off opportunity by refurbishing and offering them to schools and charitable institutions. We come to your office premise or residence and pick up your used electronics free of charge for recycling at our recycling center. Our 6th grade classes used Bluestar for a fundraiserevent. Not only did Louis and his team provide great support prior to the event, they helped uswith advertising by postingevent details on their website and by providing banners and flyersto promote the event. They also provided us the required manpower and dropped off a check within no time. Today we constantly upgrade our electronic gadgets and devices rendering our old devices redundant. Every now and then, we upgrade mobile phones, laptops, TVs, refrigerators, air conditioners, etc. And, we often end up throwing them into the trash. Unfortunately, we do not realize that by doing this, we are constantly causing harm to the environment. In order to protect the environment for ourselves and our future generations, eco-friendly waste management is very important. At Santa Clara E-waste, we have a dedicated team that works tirelessly with an aimof creating a greener world by properly recycling your old electronic gadgets and equipment. We consider the safe and effective disposal of electronic waste as our responsibility. We pick up the old and redundant hardware from your home or office and dispose them of in an eco-friendly manner. Relying through Santa Clara E-waste would probably be one of the best solutionsfor your out-of-date or outdated electronics. If you really feel you care for the environment, leave your old electronics with us and rest assured. If you have been searching for a reliable and trustworthy asset disposition company then you are welcome at Antioch- one of the finest asset disposition company in Downtown and the world. We endeavour to minimize or eliminate the risks of data security entirely and ensure no environmental damage at any cost. 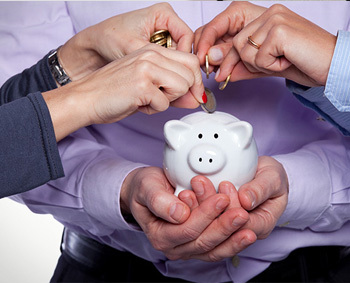 We also deal in optimizing the value recovery on IT assets invests for large scale businesses. Antioch E-waste implements proven methodologies and processes for safe data disposition and since inception; we have worked hard to maintain our reputation and spot amongst the top notched firms. We strive to provide comprehensive data security, lease return, redeployment, remarketing, and recycling services for all the assets related to IT. Our thorough processes are reliable and we ensure our customers by providing them absolute and utter data security in totally eco friendly manner. Being a renowned name worldwide, we do not compromise on quality and adopt processes and methods that are solution driven. Count on us for all your current and upcoming needs for dispositions and let us exceed your expectations with our unmatched quality services. San Jose E-Waste is a promising company dealing in asset disposition in the Bay Area. 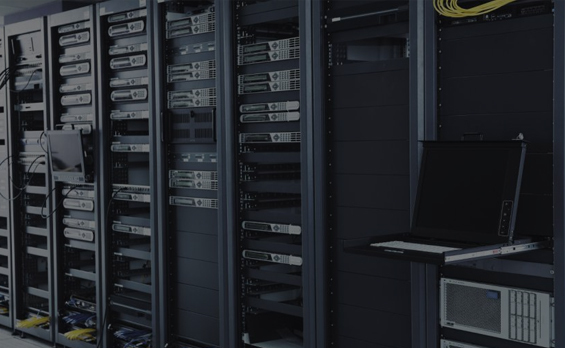 Our team is highly dedicated to eliminating an array of risks which are involved directly or indirectly with data security, fully maximizing the IT assets involved in a business. We provide customized and innovative asset disposition solutions to our esteemed clients who enable technology users to unlock the opportunities that improve the efficiency when a product’s life cycle commences. The highly proficient and knowledgeable team at San Jose E-Waste focuses on establishing flexible and tailor-made locally-managed programs to maximize the output for each of our clients. That said, we make sure that for each one of our clients, the IT asset management process is simpler to measure, manage and is more reliable. We have put together a team who works toward a common goal of helping all of our clients to resolve the issues that may divert them from their normal working business functions. The aim is to provide the most equitable and suitable computer equipment liquidation solutions to our customers. 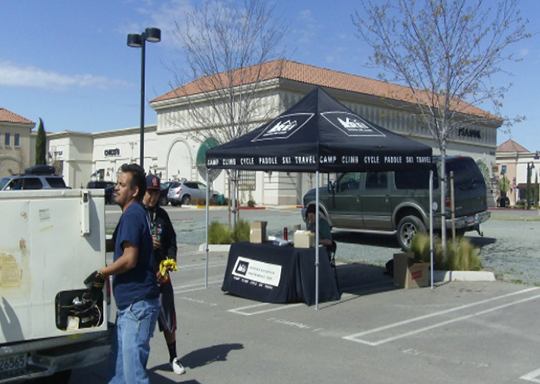 Hayward e-Waste is an industry leader in asset disposition services. We make use of state 0f art technology to maximise the value recovery for IT asset investment for the enterprises by minimising the impact to the environment. We promise to remove all hazards to data security that may be associated with Asset Disposition Services. Being a division of Blue Star Electronic Inc, our all the services are offered at competitive rates and are comprehensive and environmentally-friendly. The wide range of services we offer comprise of corporate employee sales, lease return,remarketing,data security and destruction and pick up and delivery. 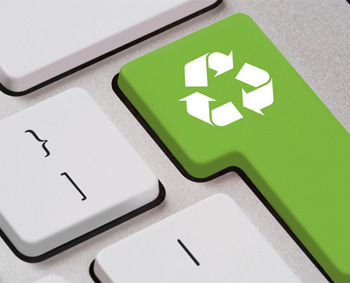 We also offer the best in industry recycling services for all kinds of Information Technology systems. 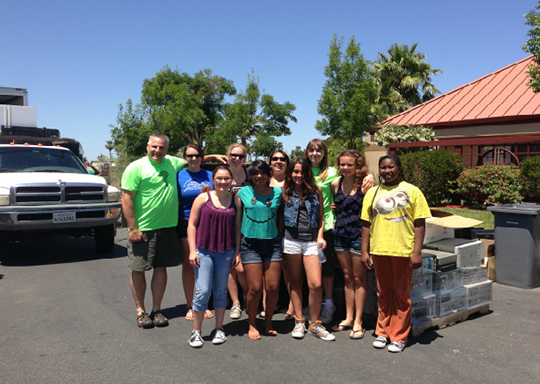 Tri-Valley e-waste is a part of Blue Star Company Inc, which is progressing at an unbeatable rate since its beginning. We work here to manage the e-waste produced by you in an efficient and evocative way so that it adds more value to your organization. The security of your data is high on our priority so we dispose of your assets without trading-off the security of your information. 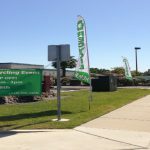 Tri-Valley e-waste is leading in the market on the count of the experts dealing the work in here. We kill two birds with the same stone i.e. saving our planet while advancing economic growth. We are trying to prevent the disaster that is still unfolding. So trying to take the action before the battle is lost. We provide solutions for all kind of problems related to e-waste disposal. Preservation of environment is the key to our survival on this planet and is the only factor that determines success at all levels. However, the growing menace of e-waste is acting as the countervailing force, which may offset the faster growth of the nation. Therefore, Tri-Valley e-waste is ready to serve you and save the environment. We do so by either the data destruction or recycling the waste etc. Our exclusive services provide us an edge in the market. If you are looking for a reliable and an efficient disposition company for your asset than you are at the right place as we will be able to cater to all your asset disposition needs in the best way possible. Concorde Waste is a known name and one of the best companies to rely upon for all your disposition needs. With an experience of more than 20 years, our main aim is to eliminate all the risks which are there around the data security and we also ensure that the process of disposition has no negative impact on the environment. We are also proud of optimizing the value recovery the asset equipment for many numbers of businesses in the area around the bay. Concorde Waste has actually proved to be the number one company for providing the disposition of the assets from its inception. The process of recycling provided by our company offers all the services including the recycling, data security, remarketing, destruction, and a lot of other services as well. If you are looking for an extremely reliable asset disposition company then you have come to the right place. Pleasanton E-waste is indeed one of the finest asset disposition companies in the Bay Area. Our endeavour is to minimize or completely eliminate the risks around data security and ensure that there is no environmental impact. We also take pride in optimizing the value recovery on the IT asset equipment for many businesses around the Bay Area. 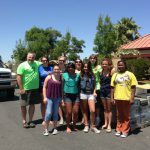 Pleasanton E-waste has proven to be the leader in the disposition of assets since its inception. Our recycling center provides comprehensive services including data security and destruction, lease return, remarketing, redeployment, corporate employee sales, and also the eco friendly recycling of assets related to information technology. We are thorough with our processes and ensure that absolute data security is provided with in a totally eco-friendly manner. Our processes and methods are solution driven and you can count on us for your present and future needs for the disposition of assets. If you are looking for an extremely reliable asset disposition company then you have come to the right place. Brentwood E-waste is indeed one of the finest asset disposition companies in the Bay Area. With experience and in business over 20 years, our endeavour is to minimize or completely eliminate the risks around data security and ensure that there is no environmental impact. We also take pride in optimizing the value recovery on the IT asset equipment for many businesses around the Bay Area. Brentwood E-waste has proven to be the leader in the disposition of assets since its inception. Our recycling canter provides comprehensive services including data security and destruction, Recycling, Remarketing, Buy Back program, and also the eco friendly recycling of assets related to information technology. 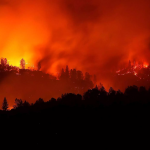 San Francisco e-waste is very proud today to be a part of Blue Star Company Inc. We work here with all our efforts to handle the e-waste generated by various producers. To manage the e-waste produced by you in an effective way, without prejudicing the environment that sustains your life, we always try to put the extra efforts to cater your needs. The bitter pill to chew is the harm we are causing to the environment just to gain few bugs and are ready to present a devastated world to our future generation. To avoid the exposure of our planet to these high risks of e-waste we offer across-the-board IT asset disposition services. Our array of services include data security, data destruction, corporate employee sales, redeployment, remarketing, lease return etc. You need not take stress for the pickup from your place and as an add on you can expect an environmentally safe recycling for all types of information technology. We commit to eliminate all hazards to data security that may be associated with Asset Deposition Services. As a division of Blue Star Electronics Inc, we offer reasonable prices. Reputable companies choose us because of our environmentally-friendly, comprehensive range of services which do not endanger our customers’ data security. We utilize cutting-edge technology to best serve our community in recycling for a variety of Information Technology Systems. We are not leaving any stone unturned to find the easiest solutions which maximize and protect our esteemed clients and their technology assets. We are grateful to our clients who trust us to destroy their products in the safest of manners, and to keep their information protected. We maintain a business relationship with our clients and our partners to utilize our secure processes. We not only believe in using high-technology concepts, but, are also dedicated to what the future brings. We never enjoy putting you in a dilemma regarding our process. We will inform you of the technology that is being used, in a discreet manner. 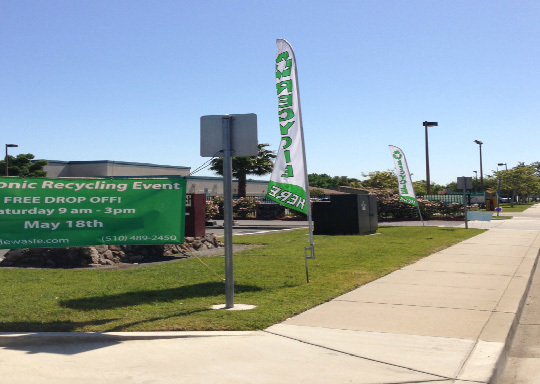 Mountain View E-Waste is one of the Bay Area’s leading asset disposition companies. 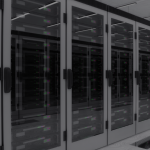 We focus on eliminating the risks surrounding data security, and environmental impact, while maximizing value recovery on IT asset investments for businesses. Mountain View E-waste offers comprehensive, and proven end-to-end IT asset disposition services. Our services include data security and destruction, corporate e-waste recycling, free pickups, IT recovery, buy-back programs and much more. We will purchase your excess IT equipment inventory and new toner. We maintain complete control over the entire process to ensure absolute data security and maximum environmental sustainability. Mountain View Recycling possesses industry-leading credentials and solution-oriented services creating a reclamation resource you can count on today and down the road as your company takes advantage of technology advances with a minimum of time and effort lost in new equipment changes. Bluestar Company is a full service asset management, reclamation and recycling company; providing resale, recycling and end of life programs for electronic equipment and components. This means that we are much more than a “Scrap Dealer” who buys old equipment by the pound for its metal content.